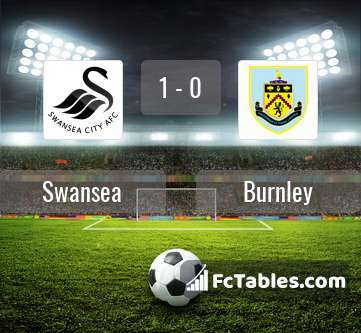 Match Swansea-Burnley Premier League the fixture is set to kick-off 10-02 15:00 on Liberty Stadium. Refereee Andre Marriner. Team Swansea currently is on lower place in table (17 position). In 5 last matches (league + cup) team gain 8 points. From 4 matches no lost a match. In this season games Premier League the most goals scored players: Jordan Ayew 5 goals, Tammy Abraham 4 goals, Sam Clucas 3 goals. 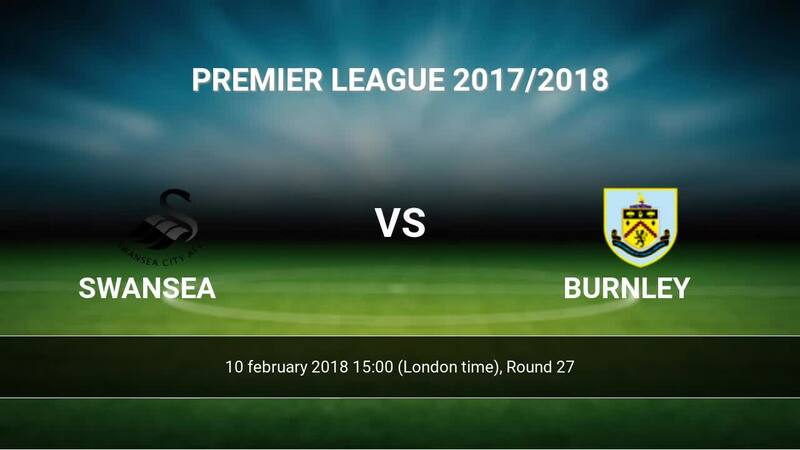 They will have to be well guarded by defense Burnley. Players Jordan Ayew 2 assists, Tammy Abraham 1 assists will have to be very well guarded by defenders Burnley, because they have the most assists. Team Burnley is located in the middle of the table. (7 place). Burnley in 5 last matches (league + cup) have collected2 points. From 9 matches can't win a match. from 2 matches team have not been defeated. The best players Burnley in Premier League, who scored the most goals for the club: Chris Wood 4 goals, Sam Vokes 3 goals, Ashley Barnes 3 goals. Players with the most assists: , Sam Vokes 1 assists. Direct matches: Swansea won more direct matches. 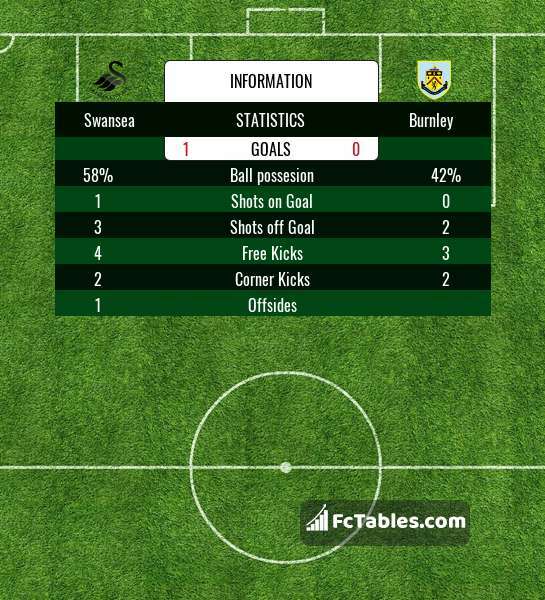 Swansea won 6 matches , Burnley won 2 direct matches, was a 1 draws. In 2 matches the sum of the goals both teams was greater than 2.5 (Over 2.5), and 5 matches teams scored more than 1.5 goals (Over 1.5). In 3 matches the both teams scored a least one goal (Both teams to score).